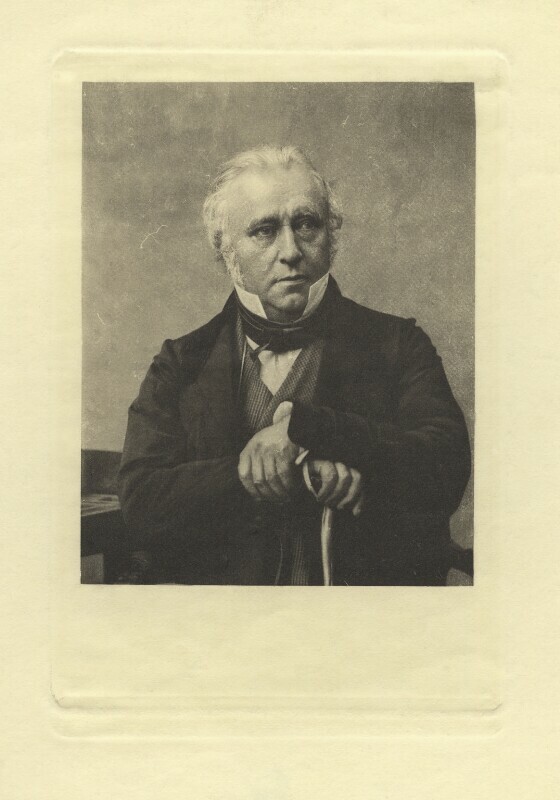 Thomas Babington Macaulay, Baron Macaulay (1800-1859), Historian, poet and politician; MP for Calne, Leeds and Edinburgh. Sitter in 26 portraits. Antoine Claudet (1797-1867), Photographer and inventor. Artist associated with 43 portraits. An early feminist movement, The Society for Promoting the Employment of Women is founded by Adelaide Anne Proctor, Emily Faithfull, Helen Blackburn, Bessie Parks, Emily Davies, Barbara Bodichon, and Jessie Boucherett. The Florence Nightingale Training School for Nurses opens at St Thomas's Hospital, in London, funded from the testimonial fund collected for Nightingale following her war services, and helping to establish nursing as a profession. William Morris and new wife Jane Burden move into the Red House, near Bexleyheath, Kent. The house, designed by Philip Webb, represents Morris's principle in interior design, that no object should be in a house that is not beautiful. Ford Madox Brown paints The Last of England, showing a boat of emigrants leaving England under desperate circumstances, inspired by the emigration of the Pre-Raphaelite Thomas Woolner to Australia in 1852. Italian unification continues as the Treaty of Turin brings much of Northern Italy under nationalist leader Cavour's control, who cedes Savoy and Nice to France. Garibaldi siezes the opportunity to invade Marsala in Sicily with his army of 1,000 redshirts, proclaiming himself dictator in the name of Victor Emmanuel II. Republican Abraham Lincoln becomes President of the US, with only 39% of the popular vote.